The current product description is available only in Steam: https://store.steampowered.com/sub/45296. The information below is for reference only and may be out of date. • Award-winning gunplay – Experience celebrated rifle ballistics honed to perfection. Take account of distance, gravity, wind, even your heart rate for intensely satisfying third person combat. • Expansive new environments – Stalk huge multi-route levels with multiple primary and secondary objectives than can be tackled in any order. Never play the same way twice. • Real tactical choice – Adapt to any situation. Use stealth, distraction, traps and sound masking . If things go hot, use the new Relocate mechanic to slip into the shadows and start the hunt again on your own terms. 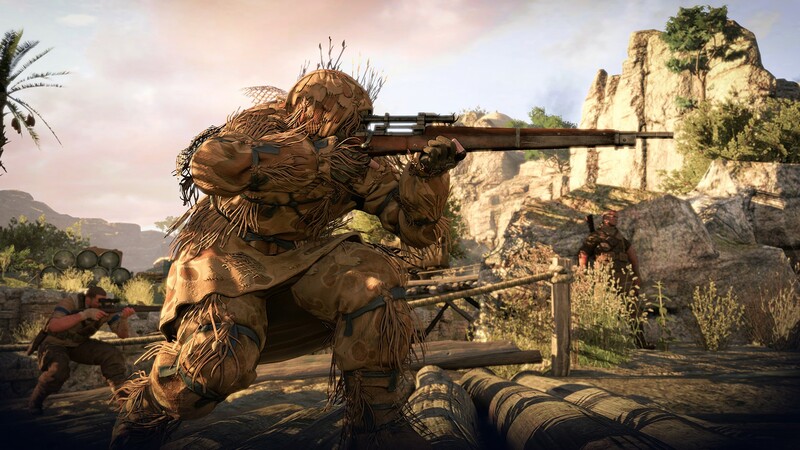 • Revamped human X-Ray Kill cam – The acclaimed X-Ray kill-cam is back and bolder than ever, including a detailed muscle layers, 3D mesh particles and the complete human circulatory system. • New X-Ray vehicle takedowns – See vehicles disintegrate in intricate detail with X-Ray vehicle takedowns. 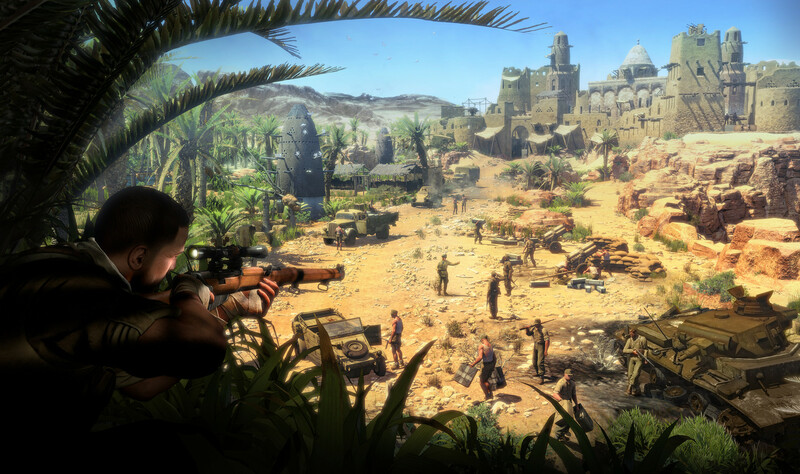 Multi-stage destruction allows you to take out armoured cars, trucks and Tiger tanks piece-by-piece. • Tense adversarial multiplayer – Five unique modes of online competitive action. Earn Medals and Ribbons as you play. Gain XP across all game modes, customise your character, weapons and loadout. 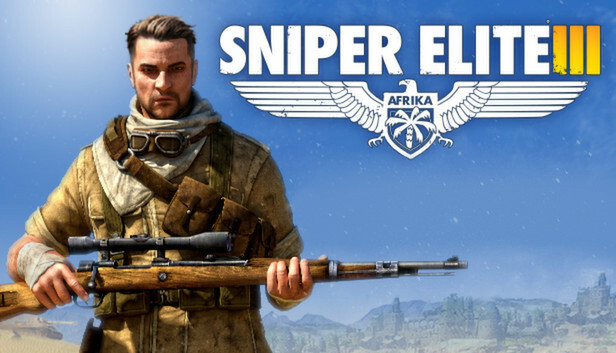 Become a true Sniper Elite! • Explosive co-op play – Play the entire campaign in two player online co-op, or put your teamwork to the ultimate test in two dedicated co-op modes, Overwatch and Survival. • Customise your experience – Veteran or Rookie, play your way. 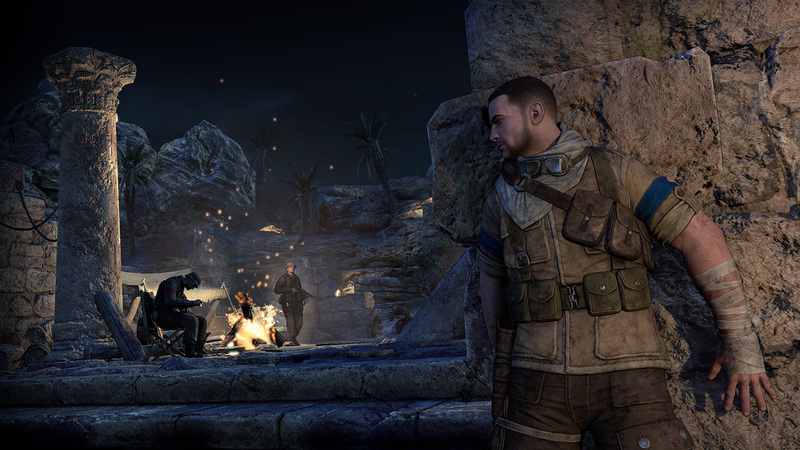 Turn off all assistance and turn up the AI, or customise the experience to your preferred playstyle. Tweak the regularity of X-Ray kill cams, or turn them off all together. Спасибо, остался доволен игрой за шикарную стоимость!